Step 2: Register & Pay for Summer Camp Today! Pay online now through PayPal. Visit our Online Payments page to Checkout & Pay through PayPal’s secure servers. 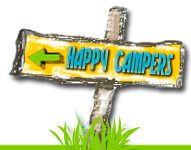 *Please include name(s) and age(s) of campers when checking out & paying online. If this is your child’s first time at City Camp please make sure you also pay the registration fee! Just add it to the cart along with latch key, t-shirts, field trips and any other purchases you’d like to make. All tuition/fees are non refundable and nontransferable.